1340 to 1363 were years remarkable for dramatic developments in fashion and for extravagant spending on costume, foreshadowing the later luxury of Richard II's court. Stella Mary Newton has broken new ground with this detailed study of a short period in the history of fashion (with the possible exception of recent books of the 1920s and 1930s); there is certainly no other single book which discusses fourteenth-century costume in comparable depth. 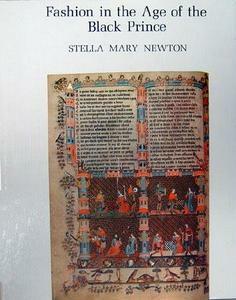 Ms Newton draws on surviving accounts from the Royal courts, and the evidence of chronicles and poetry (often from unpublished manuscripts), and contemporary paintings. Her exploration of aspects of chivalry, particularly the choice of mottoes and devices worn at tournaments, and ot the exchange of gifts of clothing between reigning monarchs, offers new insights into the social history of the times, and she has much to say that is crucial to the study of illuminated manuscripts of the fourteenth century.